Live FashionAble is a company that inspires us by the way they empower women who have overcome oppressive odds in life. 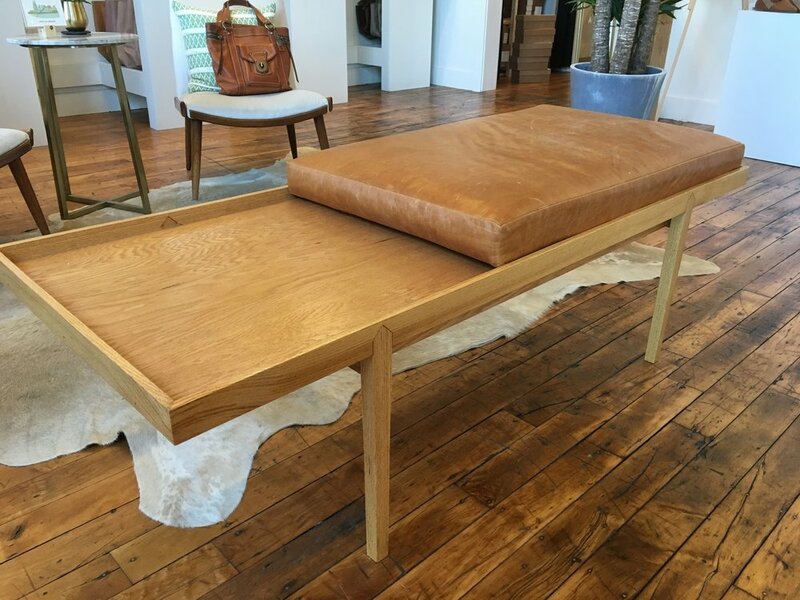 Sarah was asked to design their new showroom/retail store in Nashville and we created this bench for their space. 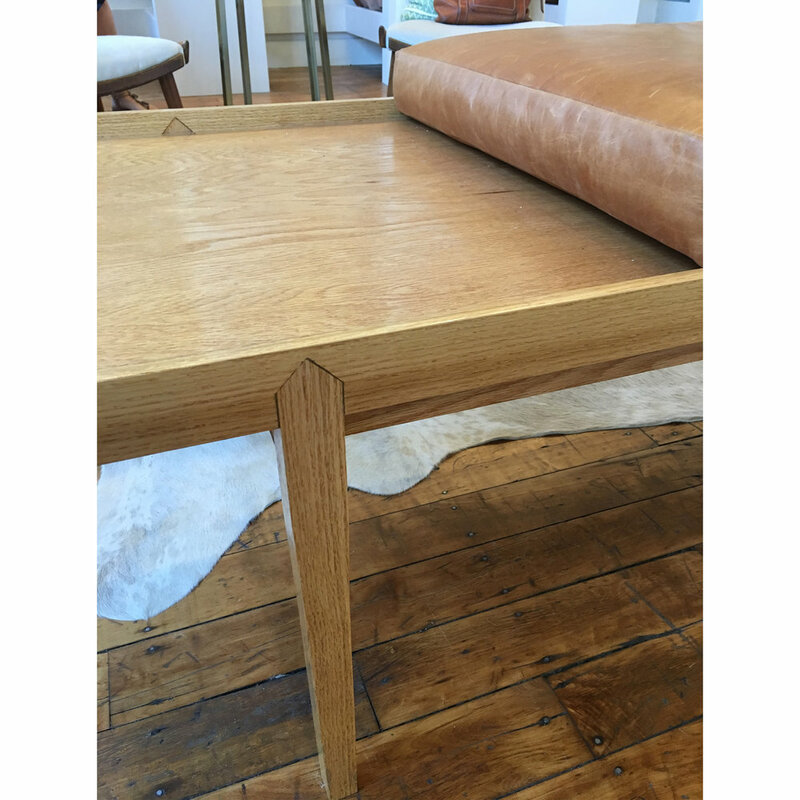 Solid oak edge & legs with exposed "bird-beak" joinery. 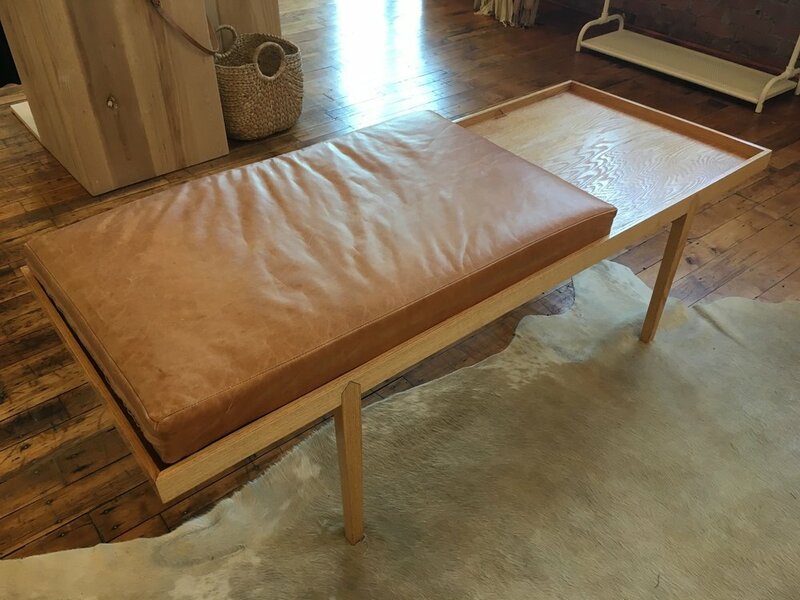 Leather cushion.